Protect your principal against market volatility. • How to position your assets to help minimize taxes, fees and losses, and maximize income. • How do you create a stable, predictable income for life? 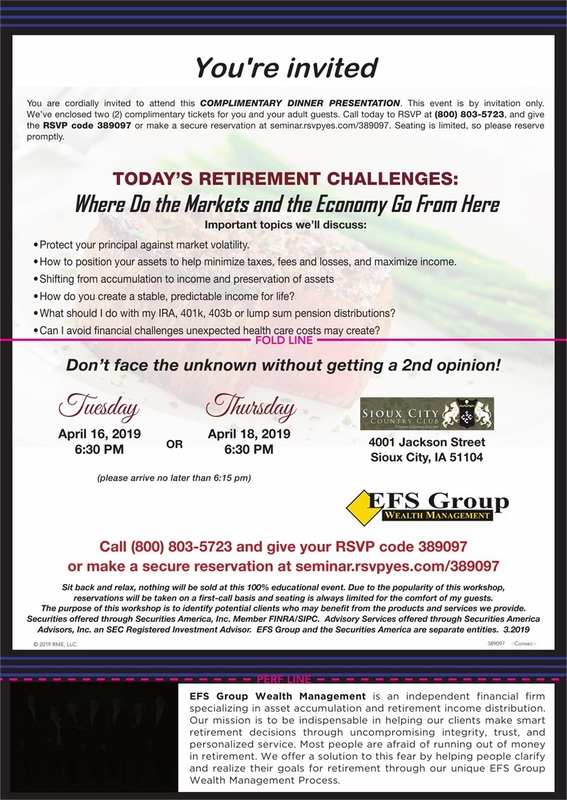 • What should I do with my IRA, 401k, 403b or lump sum pension distributions? • Can I avoid financial challenges unexpected health care costs may create?